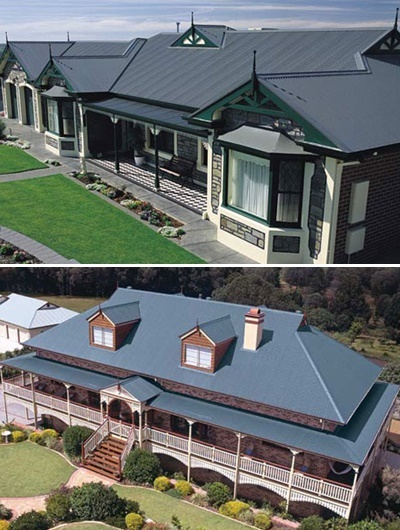 Sure Thing Metal Roofing Specialists are located on the NSW Central Coast and service the Central Coast, Sydney and Newcastle Regions. With over 20 years experience, we strive to meet and frequently exceed our customer’s expectations. Sure Thing Metal Roofing Specialists supply and install metal roofing products and will work with you to ensure all your roofing needs are meet. Whether you are building a new home, adding an addition to your existing home or re-roofing, we have it covered. We have a large range of roofing products, colours and finish options to define your style. The facia and guttering also comes in a range of colours to match your roof and give it that finishing touch, not to mention providing your home with a highly efficient rainwater disposal system. Sure Thing Metal Roofing Specialists is the roofing business you can trust. Make the right decision and choose us for your roofing needs. We won’t let you down! Visit our website for information on our range of products for roofing, guttering, insulation and colours available.